Welcome to the SpinLife Sport Wheelchair Store, your most comprehensive online source for sport products. Save up to 40% on brands like Top End, Quickie, and TiLite. 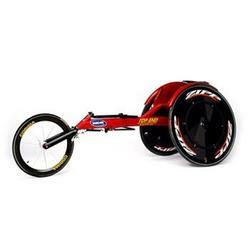 Shop our complete selection of handcycles, court chairs, racers and more at the guaranteed lowest prices. Whether your weekends find you skiing moguls, shooting baskets or handcycling the boardwark, SpinLife has the product you need to make the most of whatever you do for fun. We offer a full line of sports products from major manufacturers and at prices that will eave you with some left over for your lift ticket or a new basketball. Handcycles - Handcycling is reported to be the fasted growing segment of wheelchair sports. From leisurely Sunday rides with your family or competitive sport riding, we have a handcycle that meets the needs of children and adults alike. Court Chairs - It doesn't matter if your game is tennis, basketball or rugby, we have the chair to get you out on whatever court you choose and some that will get you out on all of them. 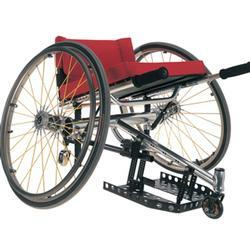 Racers - Choose from our Invacare and Quickie racers designed for speed with an overall weight as light as 20 pounds. 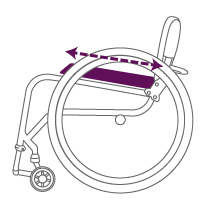 How do I buy a sport wheelchair from Spinlife? Just configure your sport wheelchair online after clicking the "Build Online" button, or call our experienced SpinMaster product experts at 1-800-850-0335 to help you build the perfect wheelchair today! 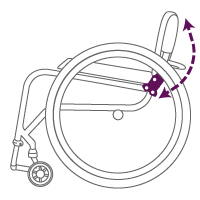 What happens if I need repairs or parts for my sport wheelchair? SpinLife is here to support you through the complete sale and this includes helping you with any problems that may come up after you receive your sport product. SpinLife honors all manufacturer warranties on the products we sell. Call us at 800-850-0335 and tell us what you need. If the part is covered by warranty, we will send it to you at no charge. If it is not covered by the manufacturer's warranty, we will make it available to you at a fair price...just like everything else we sell. 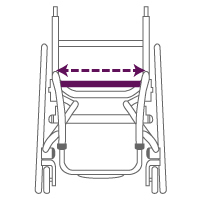 What happens if I want to return my sport wheelchair? 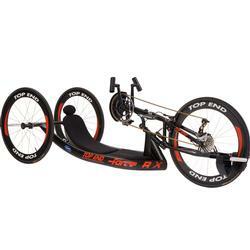 Sport wheelchairs, handcycles and racers are the few items that are non-returnable at SpinLife. These products are made to order. If an error was made in the order process by SpinLife or the maufacturer, we will work to resolve it. Other than that, the product is yours to keep so decide carefully if lime green is a color you want to look at for years to come.